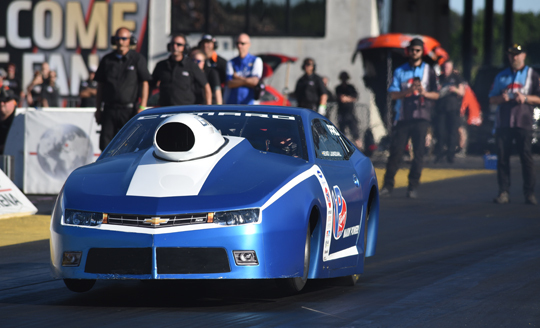 In the next couple of weeks we will pay attention to the 2018 FIA European Drag Racing and EDRS Pro Nordic MC champions. We kick off with Bengt Ljungdahl, the only reigning FIA European champion who was able to extend his title with another number one spot. But after two races in the season, the Swede was in third spot, 61 points behind the leader and another title seemed to be far away. Bengt Ljungdahl didn’t have the start of the season he had dreamed of. 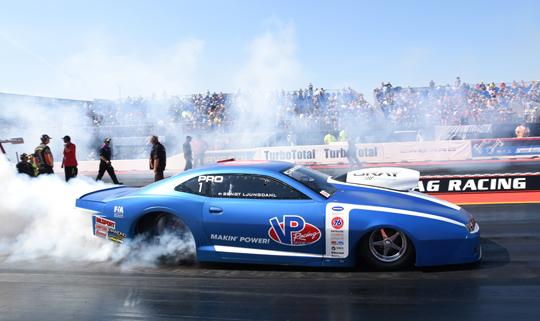 The 2017 Pro Stock champion pulled a red light in the semi-finals of the opening round at Santa Pod, and lost in the first round of eliminations at Tierp Arena. From there on things started to get better and after runner-up spots at Alastaro and Hockenheim, Ljungdahl was back in the lead. 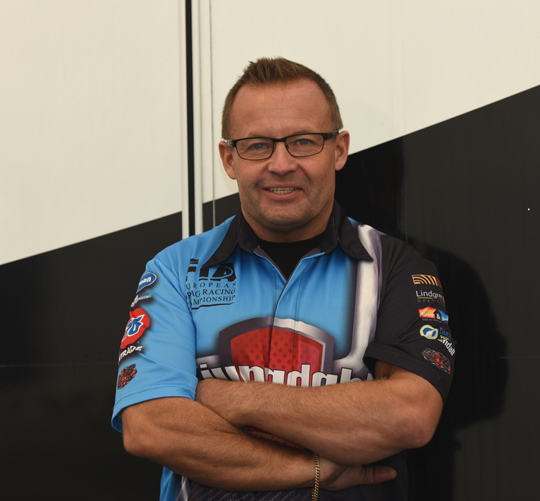 The VP Racing Fuels driver’s Summit Racing Equipment Internationals at Tierp finished in the semi-finals, but at the European Finals Ljungdahl claimed a commanding victory and his second consecutive FIA European Pro Stock title. How does the champion look back at the 2018 season and what is the plan for 2019. We had a terribly bad start of the season, nothing was right for us. We had a new team and that took us some time to get it to work as it should do. If we didn’t have a problem with the car, I did a bad job and the other way round. All of this affected us, but that’s something a race team need to get through. We got better the further ahead of the season we came, but we had to fight ourselves to the European champion title. It was rough, but we did it. The last race at Santa Pod meant a lot. We showed ourselves and others that we have what it takes to win. 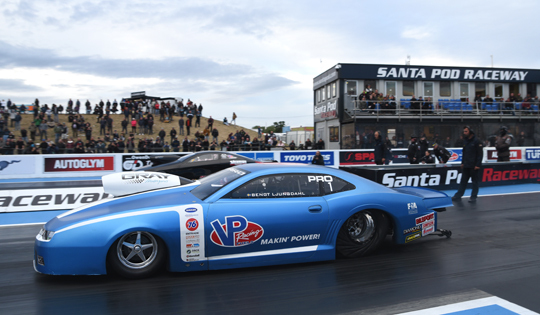 Santa Pod, that despite everything, we held our heads high and fought us through the season and manage to win, take the number one qualifying spot and win the race . In Finland, we started to get everything sorted out, but in the final against Jimmy I lost traction at the start and the race was over. I had a 0.017 seconds light and he had 0.06. We reset two track records during the weekend, so we were very, very disappointed to lose the final. Hockenheim was good until the final, I red-lit and it was over. I couldn’t see the tree as I should as the sun was right in the reflectors, but it is the same for everyone and I wasn’t good enough. The ones I lost an elimination to. Christer Ilar with family and Niklas Bexelius with family. My family for supporting us and letting us do what we need to do. My brother for always helping me between the races. And off course our partners, Järvsö industriplast, Däckpartner & Värmdö däck, All American Kendall & P66, Entrade and Saveenergy.Ljs invest. To defend our European championship title. Improve and develop our team and car and be better prepared. Exercise to be in better condition and be mentally better prepared. Racing is a lot more than a few heats at a track. It’s a long preparation for a season with car, parts, engines, trailers, away from work and families etc. etc. etc. It takes a lot to be there and to win takes a little bit more.